On Sunday, August 6th about 8:30PM, San Pedro Police visited DFC Area where they met 37-year-old Manuel Sam suffering from a large wound to the left side of his neck. It was also observed that Sam had four other cut wounds to the chest and a large cut wound to his abdomen. Initial investigation revealed that around 8:15PM, while at a house party, a domestic dispute occurred and as a result Richard Briceño inflicted the wounds on Samm. The victim was transported to the Dr. Otto Rodriguez San Pedro Polyclinic II where he was stabilized. 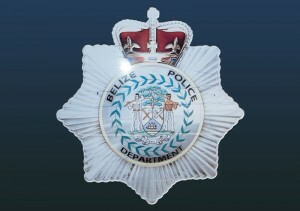 Thereafter, he was airlifted to Belize City for further medical treatment. Police are seeking Briceño in connection with this incident. Police investigation continues.